Finally you can stop hopping from one product to the next! When we started this way back in 1999 we were looking for a treatment for acne that worked long term. Not just a quick fix like all the other products on the market which either work for a short time, and then suddenly lose their effectiveness, or never work at all! I’m happy to report we still have customers from the very first month we started, still raving about how wonderful their skin stays day after day, month after month. Our regular customers describe their skin as soft, smooth, supple and with a clarity that almost can’t be described, and don’t be surprised that you have yet to find this with any other product, because Clear & Smooth is like no other acne product you have ever tried! • Here I was in my late 40’s and still suffering with acne (large painful cysts), plus I had 2 teens really starting to need something. I kept thinking “I might as well face it, I’m never going to grow out of this?” My daughter Carley, had a real bad case, plus real bumpy skin on her cheeks. And with high school, dating and all that, I wanted her to look her best (she’s a High School varsity cheerleader now). I didn’t want them to go through all the acne I went through at this time of their life and possibly following me with adult acne for the rest of their lives. There had to be an answer to this mystery. Why me and why at my age was I still having to deal with this? • We were spending a small fortune every year on expensive (high end) acne treatments. I started looking around for a low cost alternative. There were a bunch of them over the counter. But none really worked well. We tried several of the high end treatments and found some success with a couple of them. But not nearly worth the money. • We felt like we were hooked. What was somewhat clear skin worth to my family? Three people using these designer products (in teeny tiny bottles) adds up to some serious money over a year’s time. My daughter Carley was truly suffering though and how could I put a price on that? Plus my job had me face to face with people everyday. I had to look my best. My income depended on it. A large red painful boil on my nose kept coming back every time I stopped using these high end expensive treatments. But there had to be an affordable product that actually worked, right? • We’ve found it! More accurately we made it (ok, more precisely, we have it made for us to our specifications). We worked with chemists following up on an idea based on observations I had dealing with my own acne. In fact, I believe we turned common thought upside down, approaching the problem in a different way. After hundreds of trials and errors (we lost count), we put together quite a remarkable product. One we’re extremely proud of. And a product now 10’s of thousands of people use daily. Boy are we proud! • A cure? No. Nothing permanently cures acne. But for so many, Clear & Smooth finally clears skin of stubborn acne! And for other’s, much clearer skin! I’ve been clear since 1999. All this with only one inexpensive treatment per day that makes my skin feel wonderful. Now my life’s goal is helping other’s fight this scourge. All we want is for people to try it and follow our directions exactly. • Many people ask, ‘How can you afford such a great money back guarantee? Isn’t it costing you a fortune?’ Not really, we don’t have many asking for a refund! • Colleen says: My daughter has been using your product for at least two years or more and the improvement is wonderful. I know longer hear her say how ugly she is. I thank you for this wonderful product it has made such a big difference in how she views herself. I never took the time to write but I felt you should know that we are true believers in your product. Thank you. • Laura says: Hi, I just wanted you to know that after about 2 weeks of using Clear and Smooth, my skin is clearing up beautifully. I am still in shock, and waiting for the other shoe to drop! I’ve had acne for 11 years, and I am SO greatful that to have found something that actually works, and is so cheap!! I know it’s cliche, but I’ve tried everything, Accutane, etc. — even Jul**t’s, which was a disappointment (and like you said, worked at first, and then just stopped working). A million thank yous! I just hope it keeps working! • Rodney says: I just wanted to let you know that I’ve been using your product for over 2 years now. Before I discovered your product, I tried them all…neutrogena, clearasil, clean and clear, oxy, stridex, aveeno, and even the more expensive products like pro*ctiv solutions. None of them satisfied me. Well let me just tell you that your product puts all of the aforementioned competitors to shame! • Stephani says: This is my third reorder!! Your stuff is the only thing that clears up my face and doesn’t cause redness in the process!! I found your product three months before my wedding. Thank you so much for clearing up my face before my wedding day!!! • Diane says: I’ve never actually had facial acne, just a few pimples here and there (which, needless to say, are completely gone). however, my back was a totally different story — since I was a teenager, I’ve had terrible “backne.” I have literally avoided showing my back for years, which of course makes wearing swimsuits almost impossible. I’ve been following the suggestions on your site (scrubbing dry, then showering it off) since I received my first offer and… you’ve probably already guessed it… it’s gone. the red marks are fading as well, and my skin could not be happier! without hesitation, I can easily say that the skin treatment is the best I’ve ever used (and as you know, I’ve used the best, from Creme de la Mer to extremely expensive Japanese potions and more). I’m almost 2/3 through my bottle, which at first I thought was suspicious, until I realized my husband (who has no acne, but a mild case of seborrheic dermatitis) was using it as well (just on his face), and… again, the results are wonderful! not as dramatic as the change on my back, but still, it’s working beautifully for him. we both love the lotion and cream as well. • Fred says: The Clear and Smooth is for my girlfriend, she absolutely loves it!! After one treatment, her skin is smoother and pores are shrinking. She is so happy for the first time she is feeling more confident. She has tried everything! This is the first product she has used everyday following the directions. She can’t wait to get in the shower to use it. Thank you so much! • Sarah says: Thanks so much for this product. I started using too soon before my wedding for it to make a big difference, but now that I’m mostly through the first bottle my skin looks better than ever before. I get the periodic tiny pimple, but nothing like before and the scars from the old acne are even clearing up. I have much higher self confidence since using your product because I don’t have to constantly fear that my makeup is going to rub off and expose my skin – I barely wear makeup anymore! Just thought you might like to know. Thanks again! • Justin says: I really hate to be the one to have to tell you this, but you’re going to have to have your product labels re-made because you are leaving out very important information. The new labels should read: Clear & Smooth & SOFT. My skin really feels great and I thoroughly enjoyed using your product today. The smell alone was refreshing enough to wake me up and I’m so refreshed right now that I’m writing this email at 8:30am. (Now that’s refreshed!). Great job. • Isabel says: Your products have made such a significant change in my skin. It has been almost one month since my first order, and I have felt such a difference. My skin is smoother, and my acne is clearing up. I normally have severe cystic acne, and for the first time in I don’t know how long, it is no longer painful, nor does it last as long. I’ve had one huge issue pop up, but it’s nearly gone, and not as severe as previous. Thanks so much! • Allison says: I’ve been using your product for over 5 years now! Nothing works as well as it does. Now my mother is hooked too! We love it! • Marilyn says: I heard about your acne control product on a PCOS message board. I am 40 years old and still have adult and cystic acne. My 15 year old daughter has pretty severe acne on her face, chest and back as well. We are desparate for a miracle. After reading all the information and feedback as well as all the wonderful reviews from other women with PCOS, we are taking a leap of faith and purchasing these products. We can’t wait to try them. • Debbie says: I just wanted to drop you this email and tell you how much I LOVE your product!! I have been fighting adult acne for years now and have tried everything and I mean everything!! I have only been using the system for a week and already I can see the product pulling the blackheads out and my skin is so soft and supple in the morning. Most mornings I would wake with the greasiest face from other products that seemed to be creating more breakouts. This product is the best. • Anna says: Your clear and smooth product is amazing. I saw results immediately. I especially love the ease and convenience. I hate having to wash my face then put something on it and having to wash it again. Your product is so easy to use and the results are excellent. I have tried everything from the most expensive to the cheapest and absolutely nothing has worked like your clear and smooth. Thank you and keep up the good work. All of the testimonials posted here are real and on file in our offices, and there are many more success stories available by request! It’s all about the quality & combination of acne ingredients! We’re pretty particular with what we use in our Clear & Smooth Skin Treatment. There are MANY distinctive ingredients, all designed to work in concert to help so many people solve that was before an almost unsolvable problem. And we do it safely with no prescription drugs! Of course with our 90 day unconditional money back guarantee, there really is no risk. But some people need more proof. How could it be this easy and inexpensive to solve my biggest problem? It all just doesn’t add up. We get these emails all the time. Almost all acne preparations on the market attempt to somehow control acne by drying the skin. STRIPPING the skin of it’s oils (and in actuality, vital nutrients). But if their theory is right, that excess oil causes acne, then how come so many people with oily skin don’t break out, and conversely, why do many people with dry skin suffer from acne? Fact is, trying to regulate the oil in your skin by artificially drying and stripping the oils out of your skin with harsh scrubs, toners, acids and peels, just signals your skin to produce more oil. Plus, it puts too much stress on your skin by removing valuable nutrients and emollients. We received an email from a lady who after 2 weeks was seeing no results with our product. We asked her what other products she was using with ours. Turns out she was using a very harsh scrub with Sodium Laurel Sulfate in it. (that is an artificially made soap that is extremely drying) It was stripping our product right out of her skin. We know you paid a lot of money for that stuff. We ask you to stop using all that stuff until you see our product working. Then put all that stuff in return boxes and send it back to those companies for a refund. That could pay for several bottles of our product. Our product doesn’t dry your skin or make it oily. Almost everyone says how much they love the way their skin feels, even after the first use. You’ll notice how soft and smooth your skin feels throughout the day. It assists your skin in healing itself. Of course our product does many other things. It slows down the bacteria growth. The tiny exfoliators effectively remove dead skin cells and dirt from your pores. One 30 second treatment, once a day and that’s it. Easy! Your Skin Will Feel Awesome! Balancing the skin is the secret. As you scrub our product onto your skin you can feel the different exfoliates work to remove dead cells and other particles that block pores, allowing the wonderful ingredients deep into the skin. After you wash it off and pat your skin dry, you”ll be amazed at how smooth and wonderful your skin feels. For most people, after a week or two, you”ll realize that new blemishes aren”t appearing and your skin is starting to heal. THE OLD BLEMISHES ARE STARTING TO FADE AWAY! You”ll occasionally rub your face later in the day and say to yourself how good your skin feels. Friends start to comment. People start to ”SEE YOU” for the first time! (acne can make you invisible) A few heads turning to look at you? It can make you feel wonderful! We distribute Carley’s Clear & Smooth directly to you. Sending this product through a retailer would raise the product’s price dramatically, and reduce the quality of ingredients, meaning our product would no longer offer the same level of satisfaction for our customers. • What causes acne? Two factors do. Bacteria under the skin and sometimes allergies can cause acne. But what about hormonal acne? That time of the month, ‘I thought hormones cause acne too?’ For women, certain times of the month your skin PH (remember acid/alkaline from chemistry?) can change due to these hormones. This can make a better environment for the bacteria that causes acne to grow wildly. • How does this product work? It is a scrub used in the bath or shower. It opens plugged pores and allows all these wonderful ingredients that we use to make Clear & Smooth into the skin. 30 seconds to a minute of scrubbing is all it takes! Rinse with warm water. You’ll LOVE how your skin feels after the very first use. • When and how do I use this product? Once a day, while you are in the shower or bath just scrub well for about 30 seconds to a minute and then rinse thoroughly. That’s it! No pastes or anything to smear and leave cake on your skin (we believe these sometimes make acne worse due to allergies). • Does this work for everyone? We have shipped thousands of bottles, and many, many of these are referrals (and many re-orders) and we’ve had a few people (about 2%) ask for refunds. Some people love it, and a few don’t, but we offer an unconditional 90 day money back guarantee. There’s nothing for you to lose other than your acne pimples, so try it! • Does this work on acne scars? We’ve had some people swear it does. It tends to soften the skin and make it more supple. When used along with our natural soap (included free with your fist order of Clear & Smooth), pores seem to shrink, but deep scars are usually permanent. Our focus is to help get acne under control. • Will this clear cystic acne? Cystic acne is acne that stays below the surface. Many times taking weeks or even months to go away. We’ve had great success with Cystic and Nodule type acne. We have actually found that mostly these serious forms of acne are a combination of regular bacteria formed acne and allergies. Our natural soap will help with allergic reactions many have to the over the counter soaps they’ve been using (you’ll receive a free sample of our natural soap with your first Clear & Smooth order). • How about body acne? Yes we’ve had wonderful success! Since the skin on the face is much thinner, body acne can be treated by just applying our product with a little more scrubbing. Just follow directions we include with product. • What about acne on my back? Sure, it works just as well anywhere on your body, just follow the detailed instructions included for body acne. • Why are so many acne products junk? Because so many have focused on drying the skin as the solution to acne. But what your skin does when dried out, is just produce more oil. We found lowering the irritation, helping the skin to heal itself was the key. We accidentally came upon a crude formulation that seemed to help somewhat. And we just kept improving it. We tried 100’s of different combinations, and we believe we have it. There are many ingredients in Clear & Smooth that all work in concert to produce for many people remarkable results. • Why can’t someone just copy your formula? We do show you the ingredients, but percentages and how we put it all together is the real TRADE SECRET. There are infinite possibilities. All that’s involved with specific temperatures, mixing and grinding methods, etc. We use absolutely the finest ingredients money can buy. Many we have to import. • Is this product safe? There are no prescription strength medicines in this product. We’re not aware of any serious side effects. We hear from a lot of our customers who say that their whole view of life has changed; their confidence has zoomed and they love their new appearance. AND they like being noticed, now. • May I use this with a salicylic acid face wash? My guess is you wouldn’t be looking at our product if you were happy with the current face wash you are using. We often get into problems with medicines by combining them. Same thing for skin and acne products. I have seen people smear 4 or 5 different products on their face, desperately trying to get their face clear before a big event. Instead their face looks worse than if they’d used nothing. Since our product employs exfoliates to open up the pores and allow Benzoyl Peroxide in to control the acne causing bacteria, it also allows any other acne treatments into the skin, which can cause a reaction. We ask people to start out with just this product (unless you are on a prescription). That way you can intelligently decide if this product is working (many people only need this product). If you add something in later and get a reaction then you’ll know what is causing it. We designed this product as a one application product. In fact we believe topical smears (ointments) actually block the pores and cause acne. Besides, when you have clear skin in a few weeks with our product, why don’t you test the guarantees of all those other products and return those products for a full refund? Yes why not return them all? • Will this dry my skin like other acne products? We found even those with very dry skin, love Clear & Smooth, since their skin became dewy soft. Yet those with exceptionally oily skin found it made their skin less oily. And no more wet spots. How? Balancing the formula is the secret. Other acne products are unbalanced just to get quick results. And they stress the skin. We get emails from customers right after the first time they use Clear & Smooth raving about how wonderful their skin feels. • How long does it take to see results? Some people tell us in 4 or 5 days they notice improvements. Some people tell us in 4 to 6 weeks. We just ask for persistence and patience. It’s worth it, because this product has been proven to work! • Can this really reduce pore size? We didn’t expect this to happen, but users of Clear & Smooth have reported reduced pore size! We have regular customers from 7 to 70. It’s that mild, yet so effective. • How long does a 16 ounce bottle last? If you just need it for your face once a day, you might get 3 or 4 months out of it, or more! It’s best to start out with one bottle to see how you like it. Reorders are easy. • Do you test on animals? We don’t test on animals and we don’t use animal by-products. Maybe that’s why it feels so good on the skin. All our ingredients are vegetable based or a few chemically based. Most products tell you they don’t test on animals but don’t mention they use animal by-products as binders and/or humectants. It’s a little something they forget to mention. Have you seen the latest phrase that many manufacturers are putting on their labels? No animal testing on finished ingredients. Does that mean there IS animal testing on the raw ingredients? WOW! Or maybe that means the way they get their ingredients is not so pleasant for the animals their ingredients come from. • What about sensitive skin? Good question often asked. If you would describe your skin as very sensitive, then you will still be able to use our product, BUT you control how hard you scrub, so start very easy and build up how hard and how long you scrub. Even gently you will still see results. Then why do I need a scrub? To open the pores and allow our other ingredients into the pores. Also, this scrubbing action encourages new skin growth. A softness, you just won’t believe how wonderful your skin feels. • Do you offer a money back guarantee? Yes! 90 days, so you have a full three months to experiment with Clear & Smooth (most will see results far sooner than 90 days!). • Will I have to continue using your product to stay clear? Yes. There is no ‘cure’ for acne. Except outgrowing it. And some like me, never do. We send you a BIG 16 ounce bottle and most get 3 to 4 months out of each bottle. So it is very affordable! That works out to about $6.00 to $8.00 a month, which is far less than most are spending now to try and battle their stubborn acne condition! • Why isn’t this offered in stores? There almost isn’t a day goes by that we aren’t offered a ‘deal’ by another distributor (trying to get rich). But every time we look at the numbers, they don’t work very well. They always seem to favor the distributor. These deals almost always involve smaller bottles or cheaper ingredients. They think we’re crazy for selling such a big bottle. But, we’ve developed long term relationships with our customers. Our regular customers like our product and reorder every few months. We just couldn’t do that to them. We’re satisfied to grow our business through reorders, referrals, our website and the wonderful people who just happen to find us on a daily basis, like you! • Do you believe those acne commercials? Jay Leno had an actor on the Tonight Show, and asked him about how he got started in acting. He said his first job was in an acne commercial. Jay was surprised, since he had good complexion and was still very young. The actor laughed and said he had never had skin problems as a teen. He said they did the ‘AFTER’ part first. Then added blemishes with make up to do the ‘BEFORE’ shot. He remarked about his mom being shocked when she saw him with ‘acne’. Most acne before and after pictures that you see unfortunately aren’t real. • What if I’m allergic to benzoyl peroxide? We have been able to help many with this allergy to Benzoyl peroxide. If you are allergic, don’t hesitate to try this. Just follow instructions exactly and be sure to contact me so I can include special instructions. • Karen who was alergic to benzoil peroxide says: Hello! well it’s been nearly two weeks and i’m just amazed:) i have NEVER had prettier skin. My pores are smaller, the texture is amazing and the blemishes are GONE. I am one of those people allergic to benz. peroxide but with the soap i can use this without any problems. You defnitely have created a wonderful product and one i will use faithfully from now on! I was using retin A but it stopped being very effective. i was in a quandry as to what i was going to do about my skin. i decided to just try Clear and Smooth figuring i didn’t have anything to lose but i was also worried because as i mentioned i was allergic to benz. peroxide. but this is everything it promised to be and more!!! the price is incredible, the quality is AMAZING and i am just thrilled to be a new customer:) Thank You Thank You Thank You!!!! • Reverse Osmosis Purified Water: When looking at other skin care products I always want to know how the water they use is purified(if at all). Is it filtered? How small a filter? Ozonated? Often the devil is in the details. We use only Reverse Osmosis purified water. Reverse Osmosis purified water is the gold standard for being clean and pure. So if we are talking microscopic differences why is it important? Reverse Osmosis water, we’ve found, works better than any other water to maximize the potential of the precious ingredients we use. It’s expensive, but we believe anything else is purely just cutting corners. • BENZOYL PEROXIDE (active) 5%: Why is this not like all the other benzoyl peroxide products? Because all the other ones just use fillers for the rest of the product. This 5% helps to control the bacteria that causes acne. But so much more is needed to make it an effective product. If you follow our directions and wash after each treatment with the Natural soap, you will not have any allergies or stained clothing. We believe Benzoyl Peroxide works as a catalyst to energize the Natural ingredients. We have tested so called ”all natural products” and trust me, they aren”t really all natural and they also don”t work long term. Read on! The balance are in order of prominence. Remember everything works in concert to make this an extraordinary product. There is nothing like our products on the market! • NATURAL SOAP SOLUTION: [saponified oils: coconut, olive, soybean, ricebran], Our special formulation. 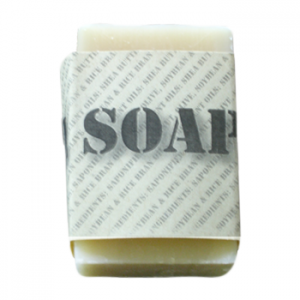 Natural soaps help to clean the skin and are very gentle. ALL other acne cleanser we know of uses SLS (sodium laurel sulfates) or artificial soaps. Since millions of acne sufferers are allergic to these SLS ingredients, we believe they have no place in ANY acne product. We get amazing emails right after their first treatment. They tell us they can”t believe how wonderful their skin feels. Really clean for the first time in a long time. • WALNUT SHELL POWDER, -Exfoliant, we use a special cosmetic particle size. Exfoliants remove dead skin cells and embedded dirt in the pores. This encourages the skin to produce new skin cells. • Natural SHEA BUTTER; (Butyrospermum parkii) World renown for many incredible skin improving properties, but almost unheard of here in the USA. The Shea tree grows spontaneously in the wooded savannahs in west Africa (Ghana, Mali and Burkina Faso). The tree is stout, can grow up to 20 m high and its trunk can reach 1 m in diameter, bearing leathery oval leaves. It produces its first fruit when it is about 25 years old and reaches its full production at the age of 40 to 50. The fruit is harvested by the natives and hand processed to the finished butter product. Most Shea butter is commercially processed to remove the natural color and odor, or industrially extracted with hexane (a carcinogen). This yields more butter and is less expensive to produce, but it is odorless and white and has fewer of important qualities. The Shea butter we use is yellow and unrefined. Villagers in Ghana extract the nuts (which grow wild in the forest) by the traditional, solvent-free method, by grinding and heating, and pour the butter into a gourd shell. Our bottler sterilizes it and filters it. But we use no chemicals to refine it. • GLYCERIN; is a humectant. This means it has the ability to draw water right from the air and bring it closer to your skin. We use a Kosher Variety made strictly from vegetables. Yes some companies use an Animal based product made from Animal Fat. Unless it says so, chances are most products have animal ingredients in them. • STEARIC ACID: If you read labels (and since you”re reading this, you probably do), you”ll find this ingredient in many, many cosmetics and other products. It is really essential to help bind oils and waters together. Unfortunately most companies use a product made from animals. Yes most likely cows or pigs. YUCK! Plus they have to use a lot of fragrances, because that stuff stinks some kind of awful. We use a Kosher variety made strictly from vegetables. • CETYL ALCOHOL -emollient, and carrying agent. This is not a grain alcohol or rubbing alcohol. This is not drying. • EMULSIFYING WAX NF, -this is a natural vegetable waxy binder which helps combine oils and water. Again, we could use animal based product here or Beeswax. But we have pledged not to use any animal based product. • CORN MEAL -we could use a chemical to do this job of helping ingredients mix properly in the manufacturing process, as most manufacturers do. But why not use something natural? Yes this is just plain old ground corn meal. • Jojoba Oil. We use a special virgin golden variety. Jojoba is not actually an oil, but a wax ester. Jojoba mimics the skins natural oils and helps the nutritional part of our treatment integrate into the skin. • Kukui Nut Oil. We use only specially expensive Kukui from Hawaii. Kukui heals the skin and helps clear acne. • ELDER FLOWER EXTRACT (sambucus nigra) -a natural healing Herb to help the skin repair itself. Ooh this stuff is good. Ever buy any? About $30.00 for 4 to 8 ounces and is so watered down that it is useless. We have a special source which provides us with a concentrated version. In the 1800”s this plant was an important part of every medicine cabinet and doctor”s kit. It fell out of favor, but still has remarkable healing powers. • MANGO BUTTER; (Mangifera indica) A luxurious Butter imported from India made from the seeds of the Mango Fruit tree. We use this butter purely for it”s luxurious feel and absorbency. You”ll only find this is the quality stuff, it”s not cheap. • MACADAMIA NUT OIL (Macadamia integrifolia) This tree is native to Australia. Also known as Queensland nut oil, this cold pressed oil is high in palmitoleic acid, a monounsaturated fatty acid that acts as an antioxidant, preventing deterioration of cell membranes. It is a skin lubricant and is easily absorbed by the skin, sometimes described as a “vanishing oil.” Helpful in cases of sunburn and wound healing. Can you see why we use it? • HEMP SEED OIL; (Cannabis sativa) This is one of the more effective skin-care oils with a wonderful nutty smell. Hemp seed oil is derived from the seed of the plant Cannabis sativa, best known as the marijuana plant, and least known for its many productive uses. Hemp seed oil has none of the intoxicating properties of the leaves. Since hemp cannot be legally grown in the U.S., the supply of its oil is low and the price high. Hemp seeds produce a vegetable oil that is high in protein and can be used within a variety of foods and cosmetics. Alpha linolenic, linoleic and oleic acidsâ€“the essential fatty acids known as the omegasâ€“make up 88% of the total fatty-acid content. Its moisturizing properties are absolutely magical. It adds important qualities that other oils are missing. Again, not a cheap product. This is not a filler. • APRICOT KERNAL OIL ; (Armeniaca vulgaris, Prunis armeniaca) Apricot Kernel is a light but rich oil which is especially good for sensitive skin, as well as for skin that is inflamed or dry. It can be used alone or as a massage oil and is used quite often in lip balms and creams. It is particularly helpful for dehydrated, delicate, mature or sensitive skin. It has a high vitamin A content. • LAVENDER ESSENTIAL OIL (France) We use the good stuff from France (yes the best Lavender is grown there). • YLANG YLANG ESSENTIAL OIL (Indonesia) adds a wonderful floral smell. • JASMINE (India) My personal favorite. Unfortunately it costs between $800 and $1200 for 16 ounces. So we don”t use a lot, but it is very powerful and a little goes a long way. • SANDALWOOD ESSENTIAL OIL (India) WOW this stuff is expensive. We don”t use much, but a little goes a long way. Sorry natural preservatives are a nice touch as a back up, but we believe that real germ killing preservatives are necessary, when you consider this product is left in your hot wet shower all the time. We use this preservative, because such a little amount goes a long way. We have heard about competitors bottles blowing up. This is due to poor preservative design and can be dangerous. What Ingredients Do We NOT Use And Why? • Sodium Lauryl Sulfate, Ammonium Lauryl Sulfate, Sodium Laureth Sulfate and about a dozen more: All soapy products are made with these artificial soaps. All are artificially derived from palm oil and are actually just like detergents you wash your clothes with rather than real soap and they can be an irritant for many people (especially for people with broken skin!). They also strip important nutrients out of your skin. We refuse to use artificial soaps (the manufacturers ‘call’ these products ‘natural’, but what they are is artificial.). We use only Natural soaps. It’s a little more trouble, but since we replaced all those artificial soaps, our return rate dropped dramatically. • PARABENS – methylparaben, propylparaben, and others: More and more people are finding they are allergic to these preservatives. For some people this allergy mimics acne. In other words for some people these preservatives actually cause what exactly looks like acne acne. If you see a lot of redness between the blemishes, this could be apart of your problem. We use more expensive Non-paraben preservatives. • Triclosan: HUH? what the heck is that? Antibacterial ingredient used in many products today, that call themselves healthy. Evening Standard says – Dozens of toothpastes sold at supermarkets are at the centre of a cancer alert today. Anti-bacterial cleaning products, including dishwashing liquid and handwash, are also affected. Researchers have discovered that triclosan, a chemical in the products, can react with water to produce chloroform gas. If inhaled in large enough quantities, chloroform can cause depression, liver problems and, in some cases, cancer. • Tiffany says: Just wanted to send a note saying thank you for getting rid of my adult acne that I have had for 20yrs and making my skin clear and smooth. The longer that I use it, the tighter and more smooth my skin gets, and I dont mean tight in a dry way. My skin seems to have more elasticity and just looks younger. Last year I spent over a $1000+ dallars on peels and a skin care line that is praised by doctors and medi spas, my skin was only clear right after a painfull and ugly peel. Then it was right back to daily break outs and congested skin, now my skin just seems to be healing and clearing. Thank you for this. • Denise says: Thank you so much! I have been a more than satisfied customer for years and ordered this time to help a co -worker who complimented my blemish free face!!!!!!!! I’ve found that once everything cleared up – just using your magic soap has kept my face clear for _over a year – using nothing but the soap!_ LOVE LOVE LOVE IT!!!!!! In fact I need to order more! • Jenna says: I absolutely love this stuff! I started having acne problems at the very onslaught of puberty and tried every over-the-counter treatment and herbal/vitamin regime imaginable. At the end of high school, my acne was so bad that I finally broke down and went to see a dermatologist, who prescribed some washes and topical medications. At first, these made a difference and my hope for clear skin returned (no place to go but up, right? ), but as the years wore on, I could see the treatments becoming less and less effective. I have always had very sensitive skin with huge red, irritated zits that could last for weeks if not months and sometimes even come back! The prescribed medication was only making me peel and irritating it further, especially in the summer and winter months. As the last of this medication started to dwindle, I began looking all the over the internet for something else to try since I knew the doctor would just give me the same things again (which was costing me an arm and a leg!). I wanted to find something that balanced out the strength of the acne fighting ingredients with natural elements, so I was intrigued when I came across Carley’s. I wrote a letter to ask which product would be right for me, and actually got a response!! That did it for me­I was sold enough to at least try it, and the price/size couldn’t have been better. The thing I was most afraid of was having a reaction to switching medications since that would just add on the skin problems, but from day one, it was never an issue. I’ve been using Carley’s for about 9 months and my acne has gotten SO much better it’s unbelievable. My skin is also no longer irritated and red and feels wonderfully smoothed and toned, all the marks from past acne have miraculously faded, I don’t wake up to a oil slick of a face anymore, and even when I do get a zit, it doesn’t last long and is much easier to cover with make-up. My Mom was so impressed with my results that she started using th e soap everyday and loves it, too! Thanks a million­you have a customer for life! • Hadar says: Your products are EXCELLENT! My skin has never looked better. It’s luminous, and has remained flawless throughout weeks of strenuous international business travelling. Thank you! • John says: Here I am, over 6 years later and still a repeat customer. I have nothing but great things to say about your products and customer service. This product has helped me from my high school senior year (mentioned in my original feedback) through college, and now being in the business field. Just wanted to say thanks again & I am thrilled to see all the success you have had. • Anne says: The industrial teen strength formula is fabulous- has cleared up male teen-age acne that failed prescription drug use. The bar soap is great for everyone in the family, all over! 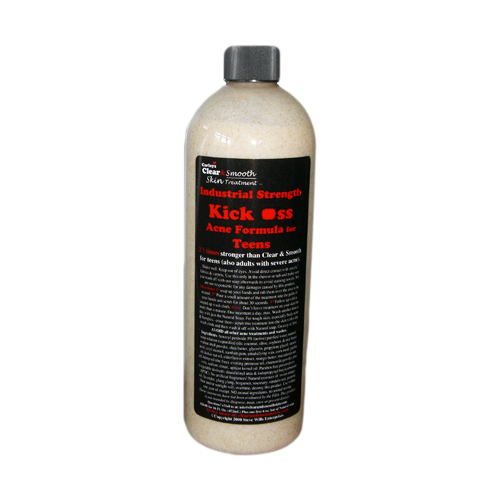 • Carla says: By the way I can’t say enough about this industrial strength treatment. Me and my boyfriend are way past being teenagers but still both have an extreme acne problem that gets worse in the summer. This stuff has worked miracles. His back gets completely covered in a rash and huge zits and in the 2 weeks that I made him use that stuff its almost all gone. My legs get covered in these weird red bumps I’ve had most of my life and now I can go to the beach without feeling self conscious about them. My coworkers don’t even believe me when I say I have a huge acne problem because I have been using Clear and Smooth since before I worked there and my skin is nearly flawless w/o makeup. • Molly says: That stuff really helped me. My pimples are gone and my pores have gotten smaller. My skin is smoothe and I have a glow to my face. I used to stay home a lot because I felt so ugly, and I was very self-conscious aboutesigned this product as a one application product. In fact we believe topical smears (ointments) actually block the pores and cause acne. Besides when you have clear skin in a few weeks with our product, why don’t you test the guarantees of all those other products and return those products for a full refund? Yes why not return them all? • Daniel says: Your Treatment and Soap are great! My skin is smooth and soft, with no blemishes. THANK YOU!! • Janet says: Just wanted to let you know how pleased I am with your Clear & Smooth – I’ve been using it a little over 3 weeks now, and I swear, my skin is in better shape now than it’s been since pre-puberty. My sister was so impressed with the improvement in my skin, she had me order a bottle for her, too. I am so happy to have finally found a product that actually does what it says – it has FAR exceeded my expectations, (and I’ve tried practically everything on the market in the last 25 years…) Thank you, and please – give whomever came up with this formula a big fat kiss on the lips from me!!! • Diana says: Hi, In January of this year I ordered your product for my son. You had great fast & friendly service. Now my son is telling me he needs more. He said it works better than anything else he has tried. • Countless males and females have cleared their acne with Clear & Smooth. • Easy and pleasant to apply. • Inexpensive and safe method of controlling acne. • Free sample of our natural soap with your first order. • 90 days to try our acne product risk free. • If you are not completely satisfied, we not only refund your purchase price, but also the cost for you to return the bottle to us! Simply return what remains of the Clear & Smooth acne cleanser for a refund. Our return policy is so powerful because we know this product works.